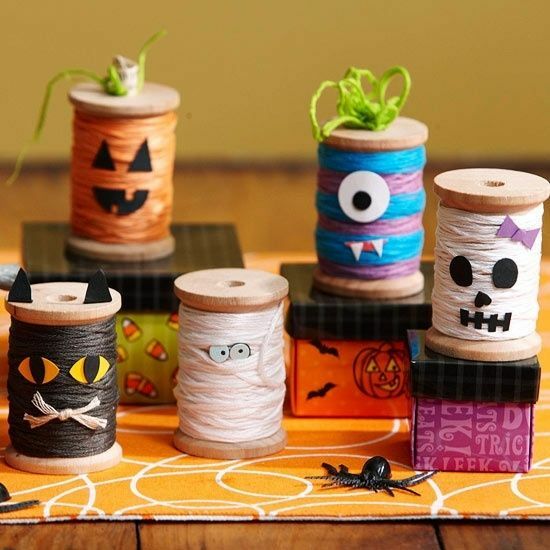 Making all sorts of little Halloween creatures from spools of thread is as easy as choosing the right colors and adding little felt eyes and mouths. And in the case of the black cat, ears. If you’re feeling particularly creative you could make more recognizable characters – Mickey Mouse? Mike Wazowski? Pretty much any character is possible if you’re crafty enough with felt!